PEAK Internet combines the power of local ownership and world-class technology to bring the Internet to the Willamette valley. Originally, Casco adopted Pioneer Telephone's Internet business and expanded it to serve communities from Corvallis to the Oregon Coast. Casco acquired PEAK, Inc. in February 2002 to expand its market and provide added value to its parent cooperatives' membership. PEAK's commitment to community support and customer service complements the parent cooperatives' mission. With nearly a century of service the utility cooperatives represent long-term stability and assurance that PEAK's mission of providing excellent service locally will remain just that; friendly and local. Today, PEAK Internet is the ISP arm of Casco. It has merged peak.org, casco.net, and pioneer.net customers into one statewide network. It has increases its customer base over 400% with other ISP acquisitions as well. 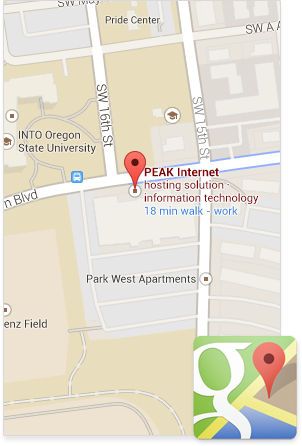 In the last year, PEAK has built or acquired wireless networks that cover over 1300 square miles in the Willamette Valley, giving PEAK the largest locally-owned wireless network in Oregon.